DownWithTyranny! : The Mafia Wants Their Guy, Now Out Of Prison, Back In Congress. Will Staten Island Voters Take Mikey Suits Back? The Mafia Wants Their Guy, Now Out Of Prison, Back In Congress. Will Staten Island Voters Take Mikey Suits Back? 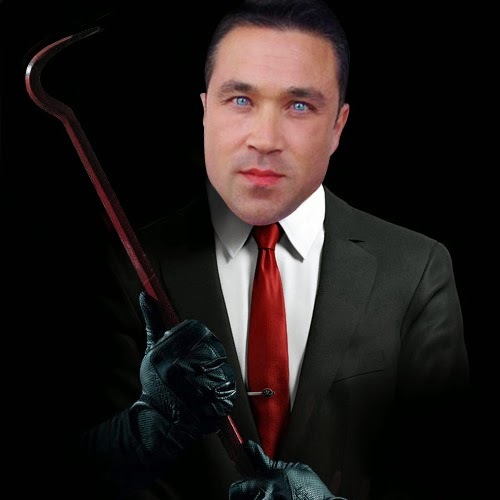 Former Mafia thug Michael,"Mikey Suits" Grimm got off very easy. He was given a sweet plea deal in return for resigning from Congress and for agreeing to not embarrass anyone in the FBI. So now he's out of prison after less than a year and already attacking former Staten Island D.A. and current NY-11 Dan Donovan from the right. In an interview, he told NY1 that he's thinking about primarying Donovan and trying to regain his old seat. "I haven't personally made a decision yet, but, honestly, I'm looking at it." He told the NY1 audience that he thinks Donovan isn't "doing well at all as a Republican; I think he's doing a great job as a liberal Democrat. Whether it's going against the president on the health-care vote; whether it's going against the president on the Sanctuary City vote; whether it's all his anti-Second Amendment bills.These are all Democrat positions and he's been down the line on those positions, and that's a problem." Although Grimm was delighted to plead guilty in order to get off so lightly, now he's trying to rewrite history and turn himself into a victim of Attorney General Loretta Lynch. "People forget; they want to say, 'Oh, tax fraud.' It was three delivery boys and a kitchen worker off the books, which has always been a civil matter. I should've received a civil fine. But I'm not bitter and angry. Politics corrupted the justice system." My dad was an FBI agent. I have a lot of old family friends in the Bureau. Several have told me that the FBI has enough on Grimm to put him away for 10 life sentences, and none of it is about tax evasion. One old family friend-- long retired but still connected-- told me that Grimm was a rogue agent who went to work for the Mafia long before he went to work for the GOP. "Tax evasion was letting him off light. The guy's a killer and he should be in jail for life. He's perfect for politics, especially Staten Island." Donovan isn't going to let Grimm off easy. "Anybody who does that will have to explain to the public about their transgressions, and that will be up to the public whether they want someone who is a convicted felon representing them, or someone who has been a prosecutor for 20 years and has an outstanding record as a sitting congressman for these years." SILive.com contends that Donovan "is among the most popular public officials on Staten Island. He's got a spotlessly clean record. Never a hint of scandal around him. He's been the anti-Grimm. He's well-liked by Republicans and Democrats alike. Are voters really going to throw him over and return to the soap opera days of Grimm, who once threatened to throw a reporter off a balcony in the U.S. Capitol?" It gets even better. Grimm, in his way, can be as entertaining-- in a train wreck kind of way-- as his Mafia-connected pal Señor Trumpanzee. So it appears the battle will be joined. It looks to be one of those classic Staten Island battles waiting to happen. Grimm is backed up by Guy Molinari, a former congressman and borough president. Molinari was Donovan's political mentor, brought him into politics here back in the 1990s. Former Borough President Jim Molinaro also looks to be on the Grimm side. 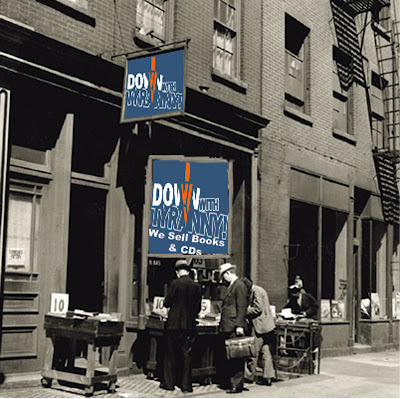 Donovan was Molinaro's deputy borough president. The two had a bitter falling out over a case involving Molinaro's grandson when Donovan was district attorney. So, storylines abound. Bloodlines. A family feud writ large that will look to drag the entire GOP establishment in. And maybe someone will even bother to take a deeper dive into Mikey Suits'... bio. I don't mean now... but some time before he slips back into Congress. Must be a lot of horse heads left in beds all over DC and NY.